Add on of the Week- For Massage Therapists! Looking for something exciting and different? I got you covered! With the changing of the seasons just around the corner, this is a perfect time to introduce something new! 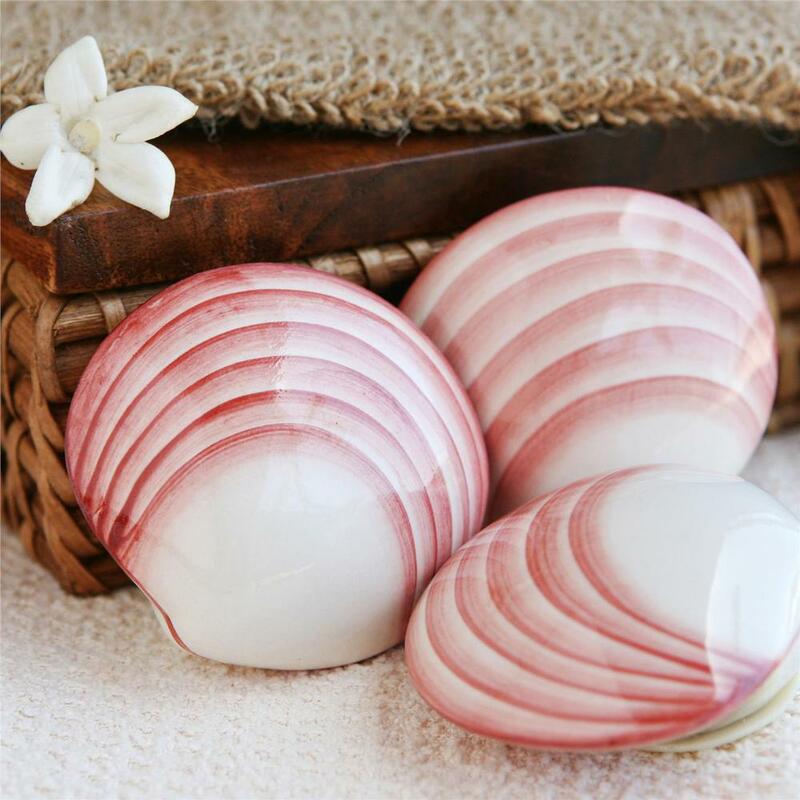 Try these phenomenal Lava Shells by PerfectSense! I've seen them used in world-class, 5-star resorts all over the world! Bring some of that luxury to your business with this easy add-on! Similar to hot stones, but different in many ways! These self-heating lava shells are made of crushed shells and porcelain. 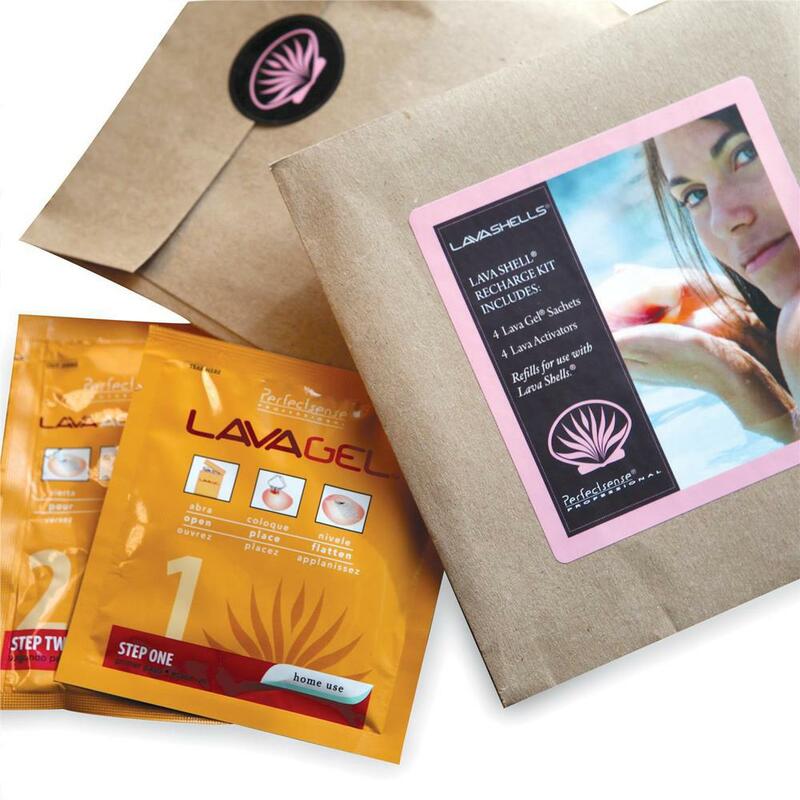 There is an opening at the top of the lava shell where the sachet and activator are placed. The sachet is made from lava and sea kelp. Combine, and 10 minutes later... they are ready to go! Unlike hot stones, there are 3 sides, and 3 big differences that make this a unique tool for massage therapists! You have the option to control the heat! The Lava Shells Charges are available in mild, medium, and high! The shells are non-porous and do not absorb or spread bacteria! Good for all types of massage modalities! No stepping away! The massage therapist can stay connected to their client the entire service! There are only so many services you can perform in a day, so maximizing the profit on each service is key. 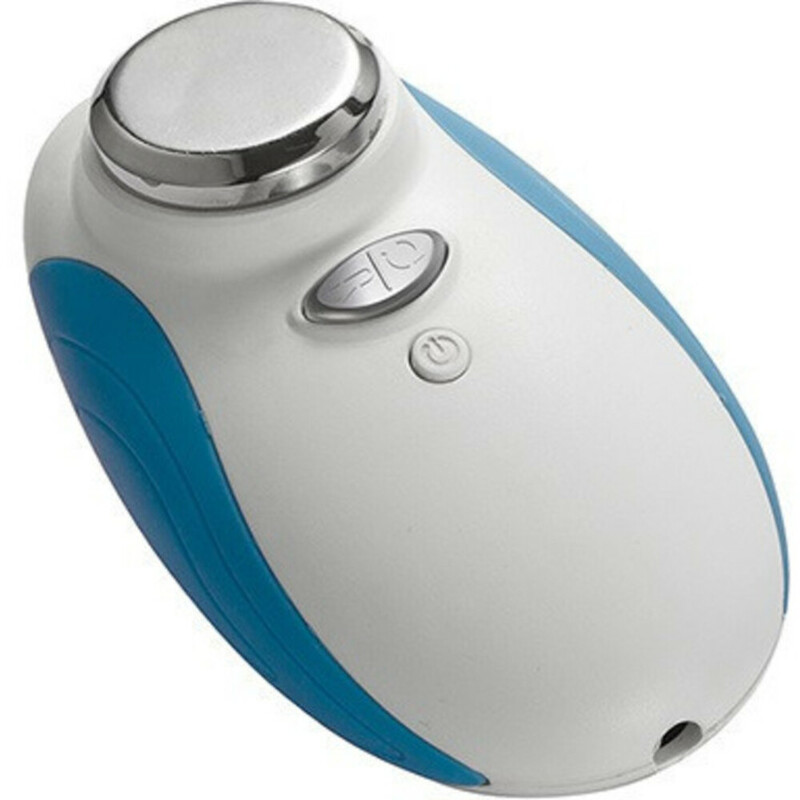 An easy and affordable way to take a facial to another level, is with a portable ultrasonic like the Asla Portable Ultrasonic Massager by Silver Spa. Ultrasonic vibrations help with everything from calming inflammation to increasing blood circulation and oxygenating tissues. During an ultrasonic facial, the high level sound wave penetrate deep below the surface of the skin promoting cellular renewal and repair, toning muscles, increasing blood circulation, encouraging lymphatic drainage, combating puffiness and swelling and improving skin care product penetration. Ultrasound may be used on most parts of the body, including the face, neck, arms, breasts, stomach, waist, hips, buttocks, and leg, making this a multi use tool for less than $100! Getting a hot stone massage makes many instantly think relaxing thoughts, with the occasional “oooh” or “aaah” while they’re thinking. Why not take the massage to the next level with salt stones? 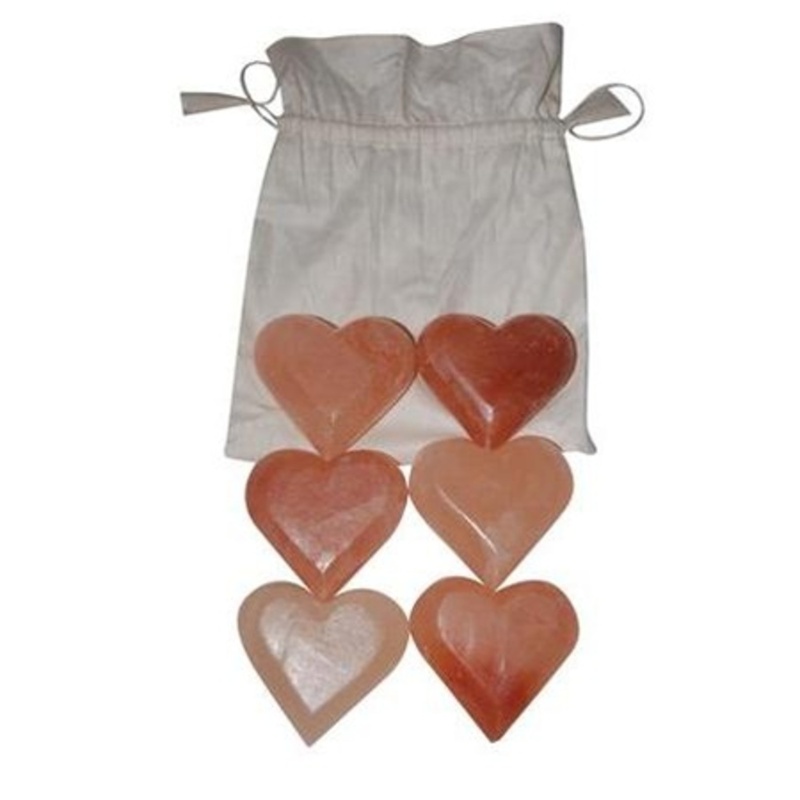 Salt crystals from an ancient primal sea beneath the Himalayan Mountains are hand-carved into massage stones that gently soothe away an accumulation of stress, tension and pollutants.Salt therapy in general is still trending, with more and more businesses adding in various treatments, salt beds or tables, add on services and even retailing salt lamps for home use. The salt stones are easy to use, portable and pay for themselves in no time at all! Q: How do you heat the stones? A: Any dry heat source, heating pad, toaster oven, skillet, light bulb, and of course our aesthetically pleasing, air purifying salt stone warmer lamp, or salt bowl lamp. We do not recommend heating in the microwave. Q: How do you clean the stones? A: Ultimately salt is antimicrobial, and should not require any disinfecting. Since we cannot guarantee this, we recommend cleaning the stones this way: After each use you can take a spray bottle and make a solution of thyme and tea tree oil and spray the stones and dry them immediately. At the end of the day, you can take a bottle of warm or hot water and put a couple of tablespoons of white vinegar in it with 10 drops of tea tree oil. You then dip the stone and swish it around. You can leave it in a few seconds, but any length of time will cause the stone to disintegrate. Dry the stone immediately, put it back on it's heat source to dry better and further sanitize. A: The stones last indefinitely, as long as they are kept dry. When exposed to moisture they will pit and sometimes dissolve depending on how much moisture. When they get rough you can sand them with sand paper to smooth them. 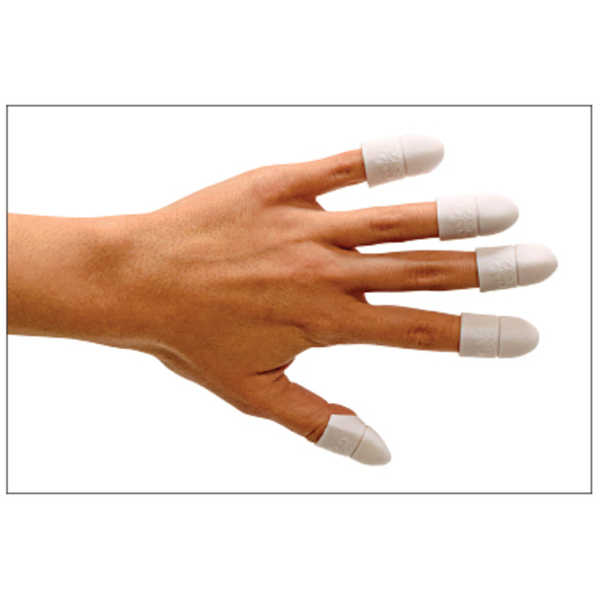 When used with water for salt scrub and lymphatic drainage, they will need to be replaced from time to time. Q: Can you use them with lotion or oil? A: We do not recommend using with oil. It is difficult to clean and clogs the salt. We recommend using Jojoba or Coconut oil. These two oils do not get rancid or degrade the salt. Depending on the skin you can use the stones dry as well. Q: Do you have to heat the stones? A: The stones have a therapeutic effect warm or cold. 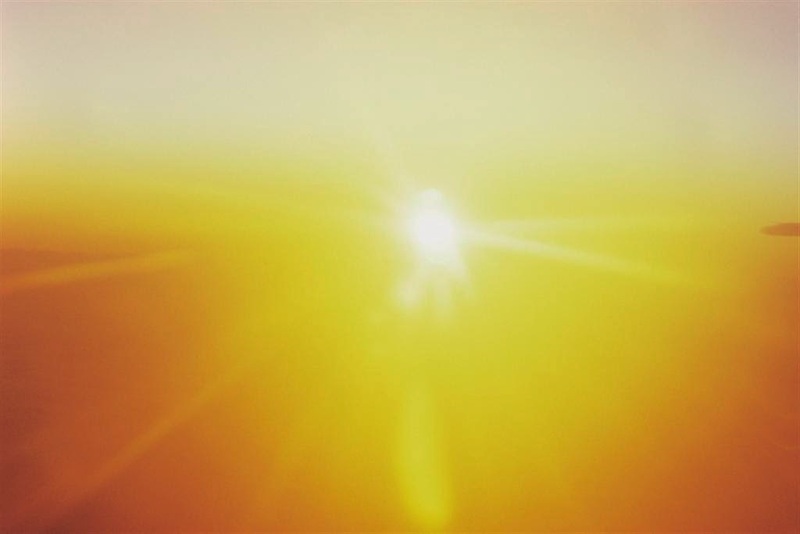 When warmed, the negative ion potential of the stone is ignited. Dry Overworked Hair? Butter It Up! Looking for something new to offer for scalp or hair massages? Clients coming in looking to get their hair and body hydrated and looking fabulous for summer? Butter them up with this quick, easy and effective recipe! In a rubber mixing bowl, mix 2 tablespoons of shea butter with 1/2 teaspoon of borage oil and 3 drops of lemongrass essential oil. Place the bowl in a mud warmer or hot towel cabinet so it's warm when applied. Shampoo as usual and lightly towel dry before applying. Be sure to start at the ends of the hair and work up towards the scalp. 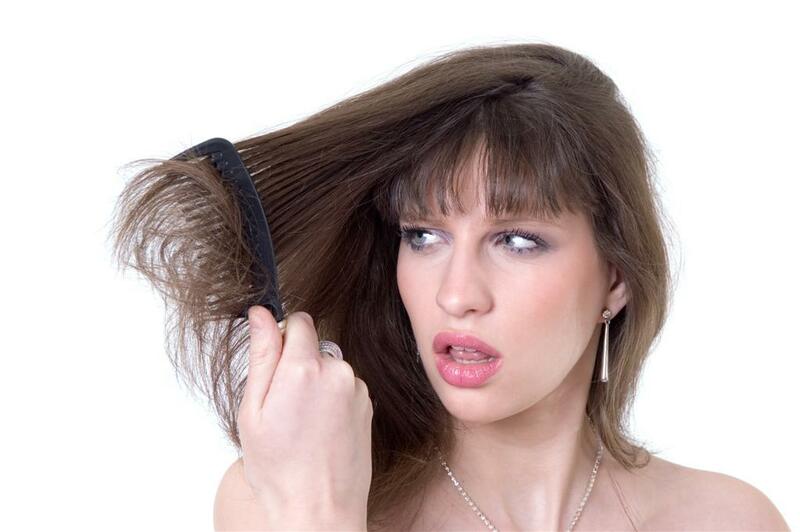 Leave on for 10-15 minutes and remove with a light shampoo or rinse. It's as easy as that! Acne is an ongoing concern for many spa clients across the world. From teenagers to adults, people are looking for effective, painless ways to treat acne. 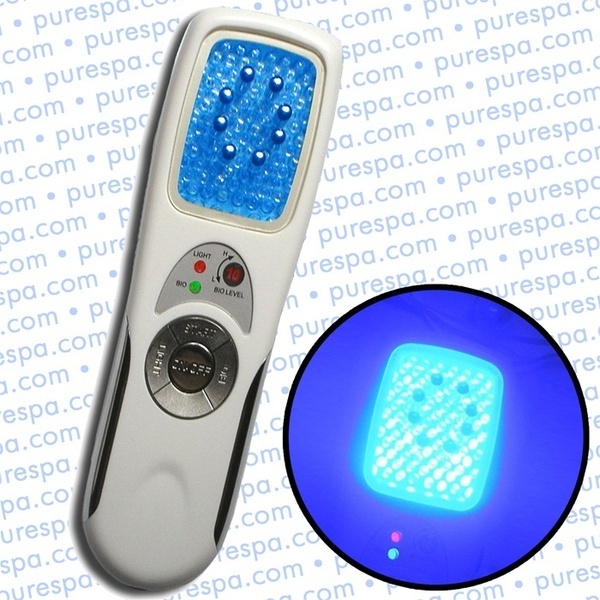 You can offer an easy add-on to your acne facials with the Blue LED Pulse Light Therapy for Acne by Meishida. Several ground-breaking studies conducted by several medical groups in the United States and Europe have found that narrow-band, high-intensity light in the blue wavelength range can be a safe, gentle and effective approach to treating mild to moderate inflammatory acne. Unlike some acne treatments, blue light at specific wavelengths does not produce damaging ultraviolet (UV) rays which have been shown to cause skin damage, does not result in dryness or discomfort associated with topical acne medications and does not cause any known side effects. This portable device does not take up much space, is easy to use and is under $200 - this can pay for itself and then some quickly! Clients are much more likely to make a purchase after receiving a demo! Consider using these fantastic, lash accessories in your premium lash treatments, and then offering them as a great retail add on! This is a great way of showing your retail supplies in action, and clients have the option of taking home something fun they know really works! 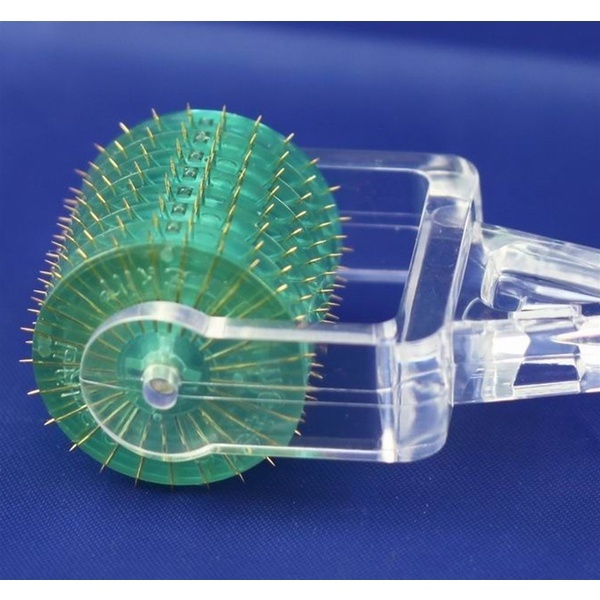 This light-weight, portable, hand-held fan comes in handy to help speed up the drying process of eyelash extensions, as well as other facial and cosmetic procedures. Gold plated metal teeth glide through eyelashes separating each hair. 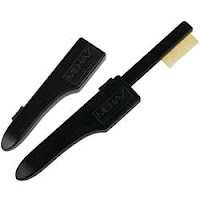 Comb retracts and locks inside handle to keep teeth clean and protect them from damage. Wide handle provides control and a secure grip. Black. This heated eyelash curler is perfect for curling stubborn straight lashes anytime, anywhere. 1 AAA battery required (not included). It's no secret the flu has been rampant this year, along with some strong flu like illnesses going around. I've seen a few spas start to incorporate "Flu Facials" the last few weeks to help ease any lingering suffering. If you have never had the flu, I commend your immune system! If you have had the flu, you know the muscle ache and facial pain from congestion. Once your client is on the road to recovery and back out in the world, a relaxing and clearing facial may sound heavenly! Using products that are calming, cooling or refreshing starting with your cleanser, paying extra attention to facial pressure points. June Jacobs has a range of health driven products that would be perfect! Warm facial towels or just a warm towel over the eyes can make a world of difference! A gentle face or scalp massage with a clearing essential oil like eucalyptus, peppermint or lemongrass makes an excellent add on service! Making sure your towels, linens and blankets are soft and cozy along with optional herbal packs and teas can be just the thing your post flu clients are desperately needing! Looking for a quick, easy alternative to soak off gel wraps? Take a look at the Gel Polish Soak Off Caps! These inexpensive and reusable caps are the perfect solution for multitasking techs! Simply place the acetone soaked cotton in before sliding over the nail, and let it go to work! You can be performing a scalp or facial massage, pedicure service or applying an under eye collagen pad while the gel soaks off! If you're a body worker, is the bread and butter of your business clients with chronic pain or injury? If so, do you offer massage add ons or a variety of techniques to choose from? Tiered services other than hot stone and/or aromatherapy seem to be something seasoned body workers shy away from. While making your hour long service a better value than the half hour one, what other ways are you maximizing your profit potential? For clients with chronic pain, not only can the variety keep them coming back, the value of choice and additional relief may gain their loyalty. So what to offer? If you like to test the water before jumping in, start small. A small investment with solid returns sounds like a good place to start right? Check out Eco Fin. This all natural hydrating treatment is an alternative to paraffin. Many people with chronic pain have had, or are at least familiar with paraffin (especially clients who went through physical therapy for an injury), making it an easy conversation. The starter kit is all you need to test the waters. At $1.60 per treatment cost, if you only offered the service for $10.00, you don't need a calculator to see how profitable it is! For those who run full speed and cannon ball in, how about cupping? Phenomenal for chronic pain, professional and Olympic athletes go for treatments regularly to improve and recover. 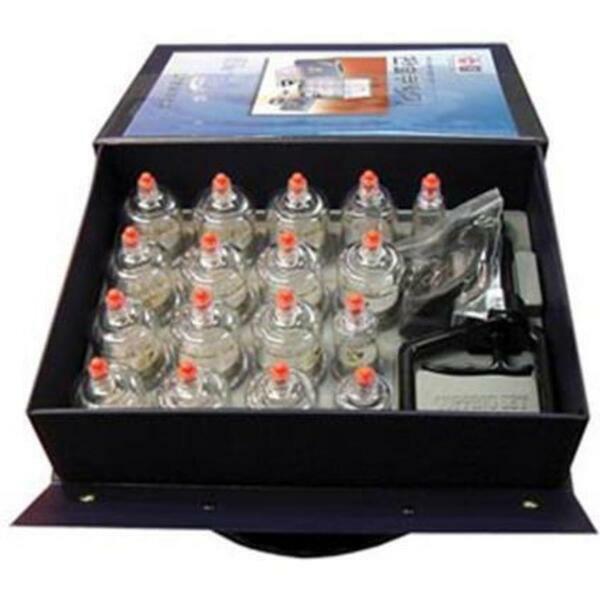 Cupping has been shown to help release adhesions, scar tissue, relax muscles in spasm, decrease trigger point pain, lymphatic drainage, decrease tissue changes and inflammation. Give us a call, send an email (christine@purespadirect.com to reach me directly), or come find us on live chat for more ideas and ways to ease your clients pain and maximize profit potential! Now that cold and flu season has been hitting areas hard, do you have any items on hand to ease congestion? 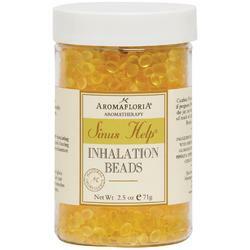 Aromafloria Sinus Help Inhalation Beads are an excellent, effective and affordable item everyone should have at their retail counter this season. We had a bottle here in the office and I purchased one as a gift for my mother last year - amazing! 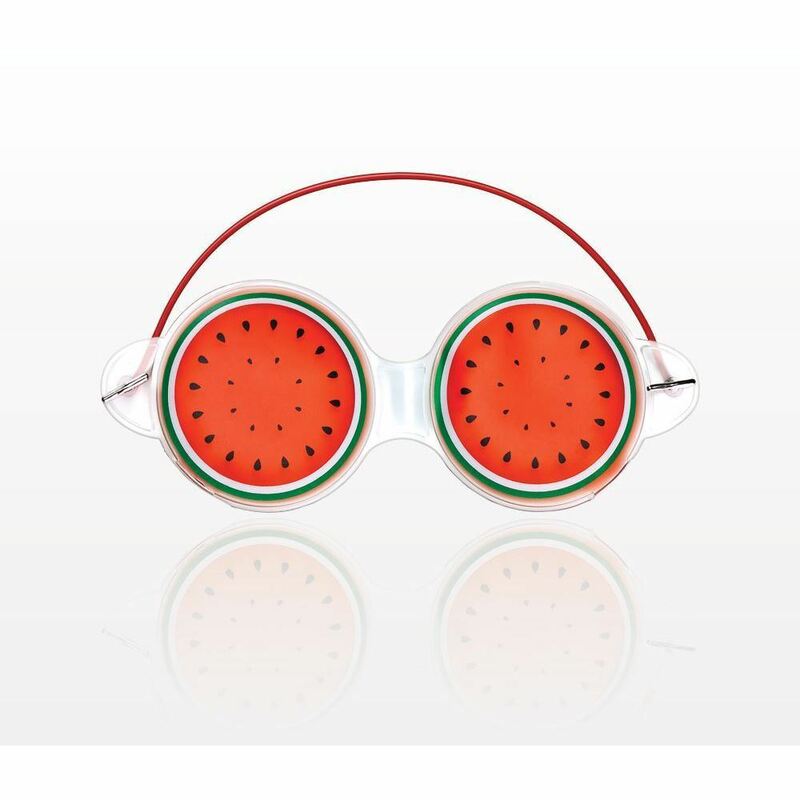 A year later, and my mother still talks about how these helped clear her head. These powerful little beads are full of eucalyptus, peppermint and lemongrass to easy congestion and boost the stuffiest of moods. They come with a cute little pouch to fill with the beads making inhalation easy and portable. You don't have to fill the pouch up completely as a little can go a long way, depending on the level of congestion. Did I mention these are only $5.50 each? 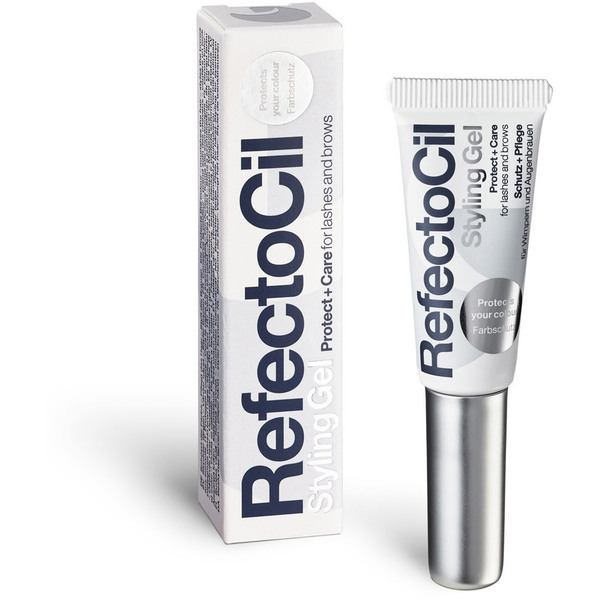 Have a tester bottle nearby, offer it to clients to try or try it on them during a service if they are congested! Retailing at $10.00 makes it appealing to clients as well, especially once they've had a chance to smell (and feel!) how great this is. These make great impulse item purchases, gifts and you can easily use them as an add on "boost"! I was super excited when I saw this new addition to the Pure Spa Direct line up. I'm a huge fan of magnesium lotions and oils. It has helped me with migraines and muscle cramping, and I recommend it to friends regularly. 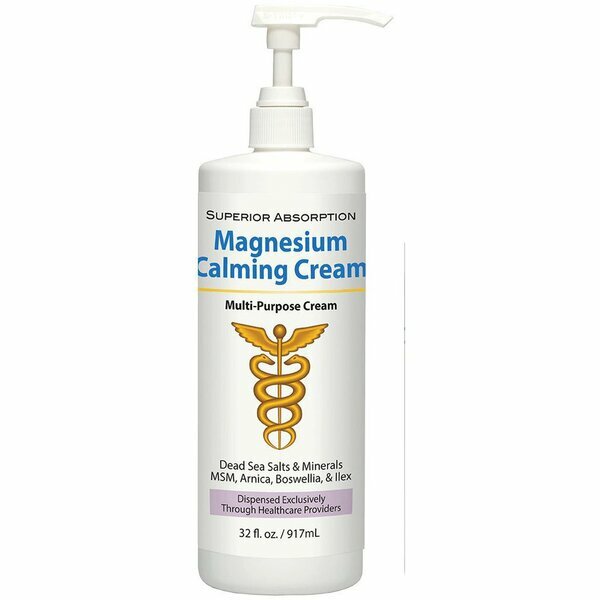 Aside from the benefits I have experienced with magneisum, CryoDerm® Magnesium Calming Cream is helpful with a multitude of things including fluid retention, calming nerves and detoxifying the body, insomnia, eczema and psoriasis. Harvested from the Dead Sea where the mineral content is at its highest containing 21 minerals, this product is amazing. You can retail and use this in services making it an easy retail item. Offer it as an add on to a pedicure (medi pedi upgrade! ), manicure, massage even as a simple hand/leg massage while a client is getting a facial. Advise they try it a few times to see the results, and have it ready to retail! I still cannot believe we're already into October, this year is flying by! Detox and slimming treatments are always trending, however the end of the year always shows a big push in detox services. Clients want to look their absolute best for events, parties and reunions. If you're looking to add something new to your body wraps, here is an extremely profitable recipe idea, to have your clients feeling bright and tight! 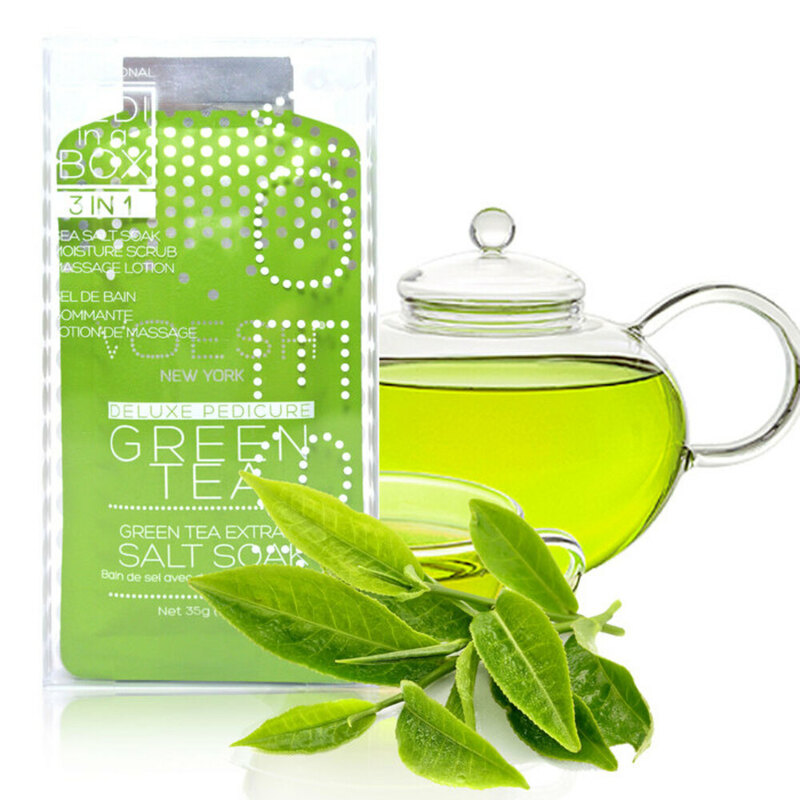 In large rubber mixing bowl, combine 1/4 cup of green tea powder with 1 teaspoon of borage oil. After mixing well, add in 3/4 cup of dead sea mud and 2 teaspoons of grapeseed oil. Mix this all up well, and place the bowl in a mud warmer, hot towel cabinet or even a large stainless bowl filled with hot water. You want the mixture to be warm when applying to the client. Perform the body wrap as you normally would, along with any add ons like dry brushing, Eco Fin or a scalp massage. Add on services are a great way to further boost profits and increase clients satisfaction! Tis The Season To Fall Into A Ginger Mask! Pumpkin is the go-to for fall, that is never any big surprise. Nearly every business we speak with is stocking up on pumpkin. Are you looking for something a little different or to add to offer for clients who aren't pumpkin fans? The Prosana Detoxifying Ginger Mask is an easy addition to your menu! It can be used for fall or winter menus. 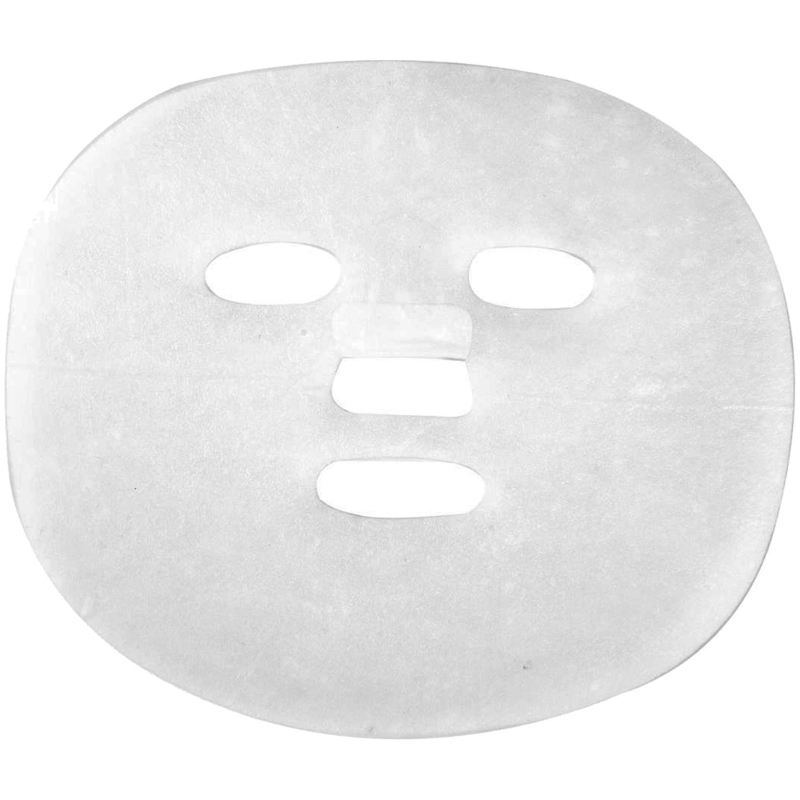 For business owners, this mask is under $7, leaving nothing but room for profit! 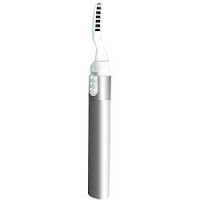 Whether you use them in your facial services, as an add-on, or in a take-home kit for your clients, this is one to try. It's chock full of hyaluronic acid to help with fine lines, it also deep cleanses with an awesome tingle! Looking for an easy add-on service that clients will adore? Scalp and hair massages are always loved by clients. In a mixing bowl, add 2 tablespoons of Shea Butter, 1/4 teaspoon of borage oil and 3 drops of lemongrass essential oil and blend well. Place the bowl in a mud warmer or hot towel cabinet until ready to use. Shampoo and rinse hair with warm water and towel dry lightly. Apply the shea butter mixture to the ends of the hair and work your way to the scalp. Apply steam, dryer or place under a heat cap for 10-15 minutes. Remove the mixture with a quick shampoo and rinse. Clients Sore From Too Much Summer Fun? Summer seems to bring out the weekend warrior in many people, which can result in sore muscles. Looking for a quick, cost effective and easy add on to help soothe those aching spots? Mix the following together in a large poultice bag and apply to the affected areas - it's as easy as that! Add ons should be easy, effective and profitable! Looking for more ways to increase the profit of services, give us a call! Menu Spotlight: Back Acne Be Gone!!! Since this is the season of dare to bare, people want their skin as flawless as possible without having to spend a fortune. If you have clients with back acne, this is a great, affordable (yet cost AND time effective for your business!) treatment to test out in your Summer menu. Back Masque - think of a clever name to fit your menu theme/style! In a medium rubber mixing bowl, mix 3 tablespoons of marine fango with 4-6 drops of eucalyptus oil. Prep your bed for a body treatment, placing a protective covering on. Place a heating pad set on low on the table, so that it will line up under the client's back area. Spread a layer of the masque on to a disposable pad, and place on the heating pad. You can also apply the masque to the client's back with a body brush, and have them lie down on the disposable pad and heating pad. If you've up sold the client into services to be done at the same time, begin those will the client is laying on the masque. 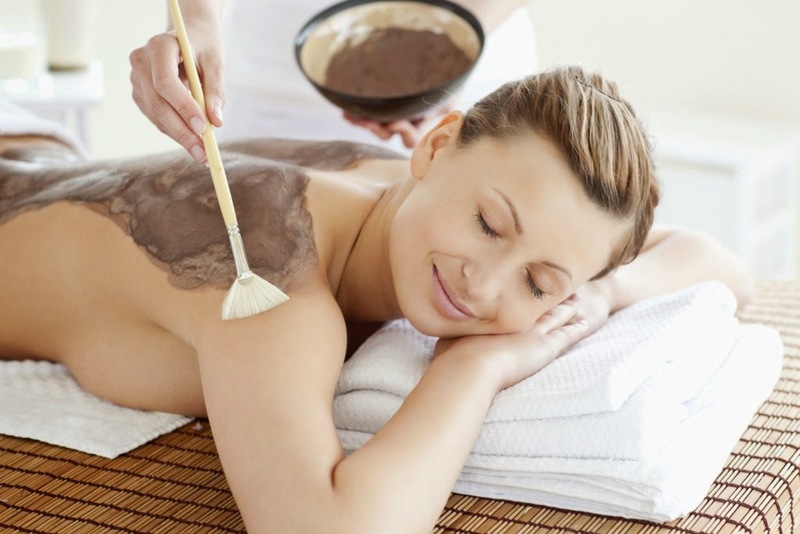 Once the other services have been completed, remove the back masque with warm, damp towels. Take a look at some information and ideas for add on treatments to up sell, here. I Can See Clearly Now...That My Eyes Aren't Puffy! For those who suffer from allergies, itchy puffy eyes can be a real problem. For clients who have sensitive eyes, suffer headaches or are just plain stressed out, tired and puffy eyes can be just as annoying. One of the newest additions to the Pure Spa line up is bulk packs of Gel Eye Patches that are wonderful when refrigerated! These little gems can also be warmed up in some warm water if your client prefers! 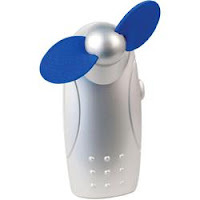 These make great gifts, add-ons, retail items and giveaway/promo items! Two different styles to choose from, take a look at them both here! Looking for something a little different, we saw that coming (couldn't resist) and also have these cute gel eye masks for you as well! Looking For Some Green? Stock Up For St. Patrick's Day! Hopefully you're all well prepared for the Valentine's Day rush - if not, give us a call, we can help meet your deadline! Time to get thinking about St. Patrick's Day themes and events - from green polish to green facial masks and more, you can offer a great green-inspired menu! Everything you need work this holiday into a treatment, theme or special all in one place, that's what we do!